Kami Development and Cultural Board member, Subodh Khati, today alleged corruption in construction houses of beneficiaries from the community. Mr Khati, along with his team, today accused that the Board chairperson, KB Baraily, vice-chairperson Yakin Lamichaney and Member Secretary of the Board, the SDO Kalimpong, of being involved in the said corruption. He added that when they verified the list, they found that only 300 houses had been completed, and in 150 cases, construction was still underway and for 50 beneficiaries, work had not even begun. Utilisation Certificates had however been submitted for all of the, he added. The list of 500 beneficiaries was secured through an RTI application. 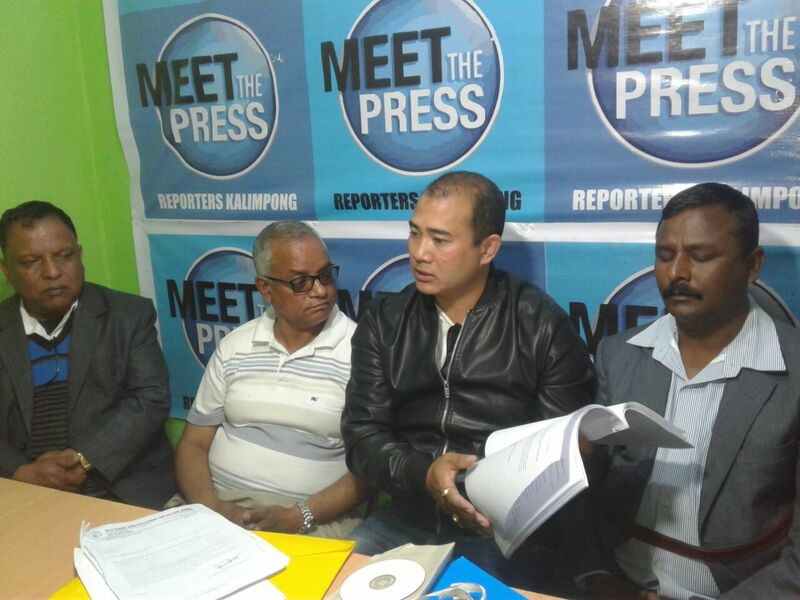 Meanwhile, when contacted, the Kami Development and Cultural Board chairperson said that Subodh Khati and his team had resigned last year during the agitation. “Now, they want to come back but they cannot be reinstated hence they are leveling these allegations. He claims that construction material was diverted during the agitation, which is true because many beneficiaries said they lacked space for unloading the material. We have nothing to hide which is why we gave the answer to the RTI application,” he said. 0 Respones to "Kami Dev & Cultural Board member alleges corruption in the Board"